Imact Travel: Your Chance to do more than Just sightsee! Ever wish you could combine your vacation with the opportunity to make an investment in the lives of others. WELL, HERE IS YOUR OPPORTUNITY . . . 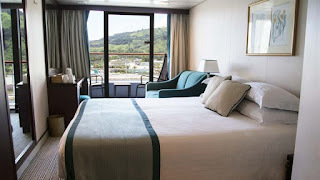 IT IS CALLED FATHOM IMPACT CRUISES. 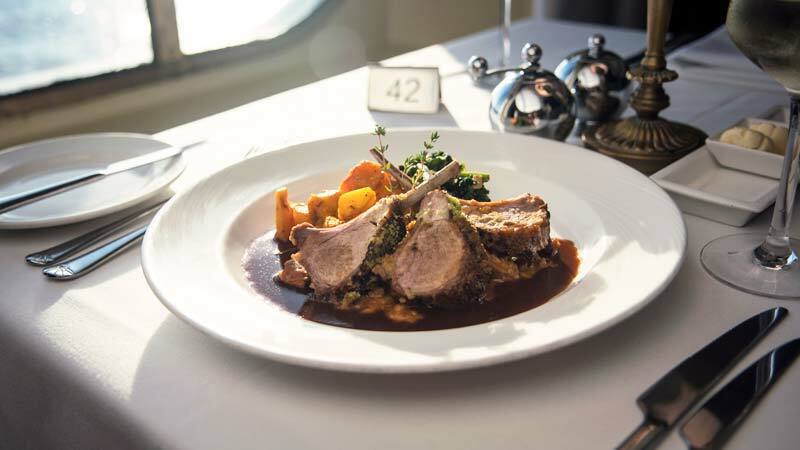 Pioneered by Fathom Cruises, Impact Travel is a whole new category of travel: . . . it’s travel with purpose. Now I know that every cruise has purpose but that purpose is usually very ego-centric, that is, to have a good time. Impact Travel is travel that transforms lives. Sometimes including your own. Impact travel with Fathom provides the opportunity to build community with like-minded travelers, become immersed in another culture, and work alongside its people to create enduring social impact. Every Fathom™ journey is based on the sincere belief that person-to-person connection is among the strongest catalysts for transformation. What sets Fathom apart is the long-term, systematic partnership approach with its partner countries paired with the unique business model that allows for sustained impact and lasting development. Fathom’s scale and global vision reach beyond what the world has ever seen. 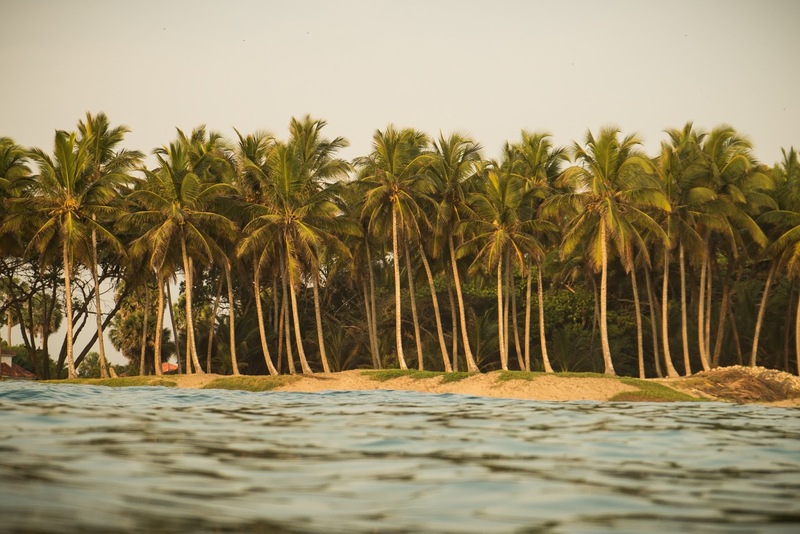 This adventure began in Spring 2016 with separate round-trip voyages from Miami to two of the Caribbean’s most desired destinations: the Dominican Republic and Cuba. In the Dominican Republic. Each of these provide the opportunity to work side by side with local residents in an existing programs that focus on improving the lives of children, families and communities. In Cuba, you participate in an ongoing cultural exchange program that gives you the opportunity to interact with the Cuban people, one on one. And you’ll come home seven days later knowing that, for the people whose lives you’ve just touched, the world has become a little brighter because of you. and students in activities designed to create interest and excitement in the English learning process and to aid in language retention—no teaching or Spanish-language experience required. You’ll engage in games, simple vocabulary lessons, and small-group conversations that provide much-needed conﬁdence. And you’ll ﬁnd that this kind of positive impact on the life of a child is one of the most gratifying experiences a traveler can have. the livelihoods of Dominican families, restore degraded land, and contribute to forest and wildlife conservation throughout the region. On Tuesdays and Fridays you can participate in diﬀerent activities at the Nursery that range from the simple potting of seedlings and/or seeds, to transporting plants, to more physically demanding eﬀorts like mixing the potting soil. 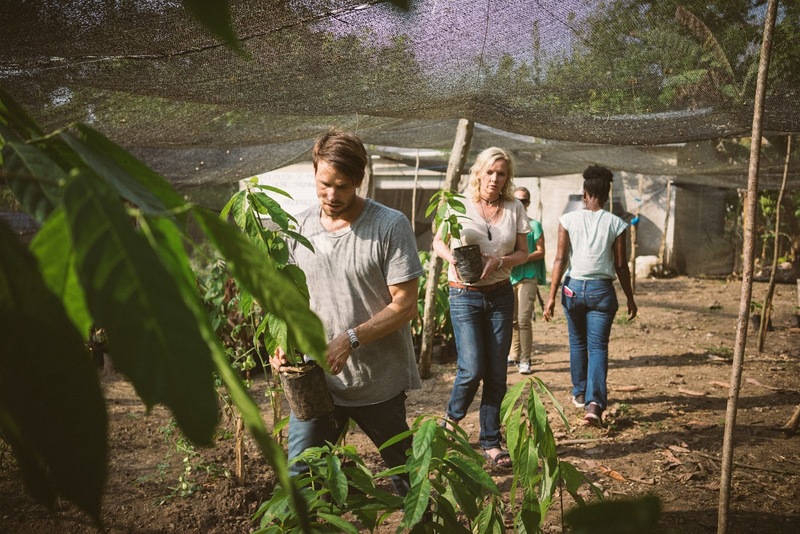 On Wednesdays and Thursday you can participate in more strenuous activities at the reforestation site, under the sun or the rain, from digging holes, to transporting seedlings, to planting. Dominican Republic alone, more than three million people have no access to piped water. One solution already being implemented is the production of clay water ﬁlters, which mean far fewer children and adults will miss school or work due to waterborne illnesses. 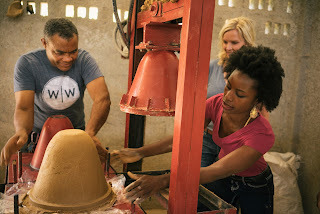 As a Fathom traveler, you’ll have the opportunity to work alongside established organizations and local artisans in the entire ﬁlter-making process: gathering and mixing the raw materials, working the clay, shaping and ﬁring the ﬁlters, and testing the quality of the ﬁnished product. In this family-friendly activity, even smaller children will ﬁnd ways to do their part. Surcharge of $20 per person. population receives less than one-ﬁfth of the country’s annual GDP. 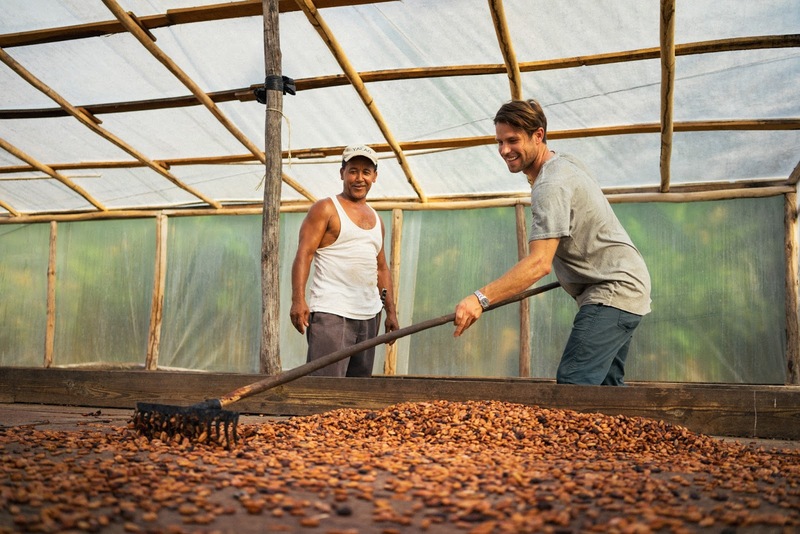 One local women’s cooperative is actively involved in the cultivation of organic chocolate (cacao) plants, an important source of income for the Puerto Plata region. 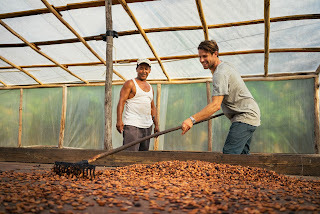 As a Fathom traveler, you can participate in the complete production cycle: from planting and cultivating the organic cacao trees (Nursery activity on Wednesday & Thursday only), to preparing the raw materials, to producing and packaging the ﬁnal product for sale. By helping to improve production and increase sales, you’ll also be helping the organization to thrive so it can hire more local women, providing critical income in a region with limited employment opportunities. come together as Repaper — a co-op in a low-income community of Puerto Plata dedicated to reducing solid waste in the province, while being an opportunity for self-employment. By participating in this activity you will not only have the chance to work and meet the RePapel Women, but you will also support local artisans committed to working with natural and recycled products. As a Fathom traveler, you can have a positive, hands-on impact on both programs, not only by helping the women beneﬁt from steady sources of income but also by contributing to increased English skills that can help them sell their products more eﬀectively. The highlight of any Fathom trip is the opportunity it gives you to collaborate with local volunteers on important projects that contribute to the sustainable economic, educational, and environmental health of local communities. Most impact activities are included in the price of your trip, and a few require and additional fee to cover supply costs. Your trip includes round-trip travel by ship between Miami and the port of Amber Cove in Puerto Plata, Dominican Republic. Transportation between your home and the Port of Miami is not included. Republic. Transport for leisure activities throughout Puerto Plata will be at your own expense. Aboard the ship, you’ll have the chance to participate in unique tailored programs and workshops to better prepare you for the impact you’ll make once you’re ashore. Payment for most onboard programming and events is covered in the price of your trip, while a small number of events require an additional fee. and water during your impact activities. If you’re feeling adventurous, additional curated dining experiences will be available on board at an additional cost. This is your opportunity to both have a great cruise vacation and at the same time give back to the world through personal service. 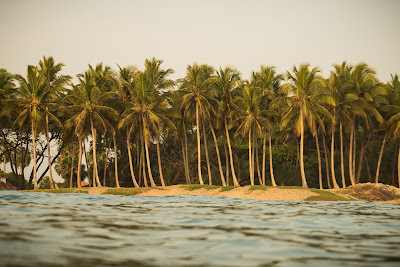 On Tuesday, around mid-day, the Adonia will dock at the port of Amber Cove, near the city of Puerto Plata. Here, in the nearby villages, is where you’ll put your skills, your passions, and your shipboard orientation and training to good use. Over four days you’ll immerse yourself in the culture by joining the locals in impact activities that support the environmental, educational and economic health of their communities. Ready to have fun? Explore the landscape, relax in the Cove, and chart your own adventure. 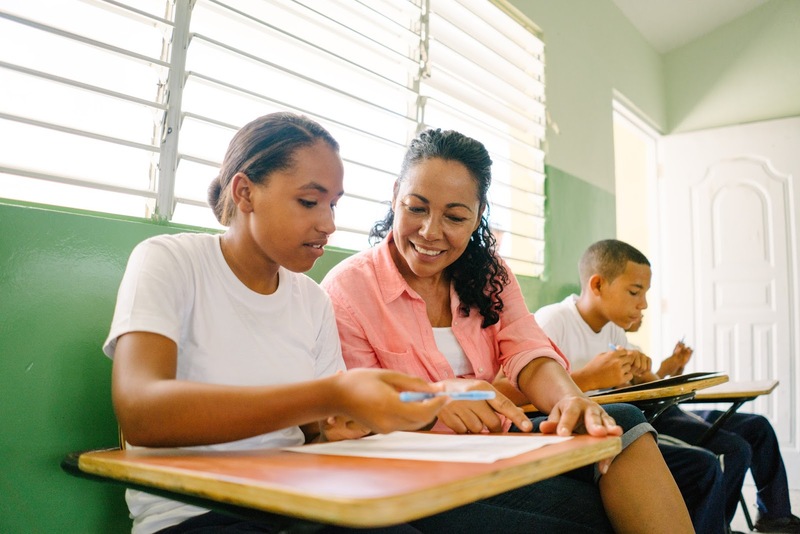 GIVE: Work directly alongside the Dominican communities as you focus on economic, environmental and educational projects that make a lasting difference. PLAY: After impact activities in the morning you’ll have time to relax by the pool, snorkel, deep sea fish or enjoy the entertainment and programs aboard the ship. GROW: It is our sincere belief that personal connection is among the strongest catalysts for transformation. Share these experiences with your family and loved ones. IMPACT ACTIVITIES: Fathom impact activities in the Dominican Republic include a wide range of projects focused on economic development, education and the environment. During your three days on the island, depending on your individual passions and skills, you’ll have the opportunity to get involved in the projects you feel the most strongly about. You’ll work directly alongside community members and our partner organizations, doing what they do, helping where they need you. And almost certainly making some new friends along the way. You’ll also discover that impact travel is far more than a seven-day experience. On the return trip, we’ll help you look at ways you can stay involved by bringing your knowledge, inspiration, and insight back to your own community. And to keep your impact travel experience alive, long after your seven-day journey is over. Participation in all activities is voluntary. Texas Cruise and Travel Offers You the Opportunity to join us and Fathom in May 7, 2017 for a Fathom Impact Cruise. Gratuities are $81 per person. Round Trip Airfare to Miami, Florida is on your own. We recommend Southwest Airlines into Fort Lauderdale and the shuttle to Port of Miami. You can also fly directly into Miami. Check both for the best price.